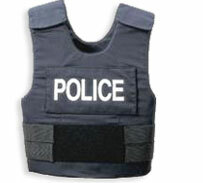 The testing of bullet-proof vests adopts the internationally acknowledged V50 method. In the experiments of bullet-proof material, the V50 value is taken for each kind of material to determine the relationship between different number of layers and the V50 value on the basis of the same material. V0, which is the maximum speed that cannot cause total penetration, can be determined through the calculation of V50= V0+38+safety factor according to the V50 test. The indentation depth is then tested according to the V0 value to determine whether the material ultimately meets the bullet proof requirements. Otherwise, other measures should be taken to continue testing. For the panels of different materials and specifications, bullet proof testing are conducted with different bullets according to the test. 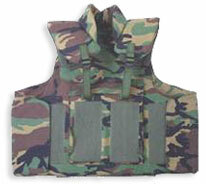 Military forest camouflage color, strap type, simple appearance, well-marched with combat gear, with the front made of "911A"special bullet-proof steel chips to provide effective protection against "51"bullet (lead core) of Model 54 pistol and the back made of Aramid fabrics to provide better protection against 1.1 gram FSP, V50=550m/sec. Protective area:0.23cm². 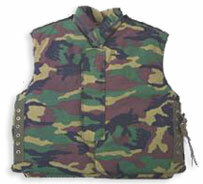 Universal military camouflage color, V-collar, with two packets to hold necessary articles. 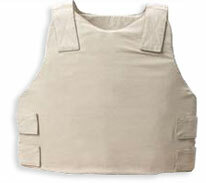 It is made of Aramid fabrics to provide the maximum protection against "51" bullets (lead core) of Model 79 light submachine gun, with a protection area of 0.30cm². 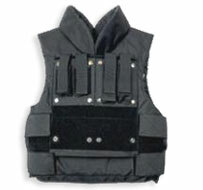 Black, western-style vest type, with the outer cover to hold pistol, cartridge clips and handcuffs. The bullet-proof layer is made of Aramid fabrics to provide the maximum protection against "51" bullets (lead core) of Model 54 pistols, with a protection area of 0.29cm². The protective level can be upgraded. Camouflage color for police, strap type, simple style. The bullet-proof layer is made of Aramid fabrics to provide the maximum protection against "51" bullets (lead core) of Model 54 pistols, with a protection area of 0.23cm². Camouflage color for police, strap type, with the outer cover to hold intercom, cartridge clips and handcuffs. The bullet-proof layer is made of Aramid fabrics to provide the maximum protection against "51" bullets (lead core) of Model 79 light submachine gun, with a protection area of 0.26cm². The front additional panel provides protection against "51-1" bullets of Model 79 light submachine gun. 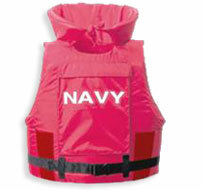 Black in color, vertical collar, with outer cover to hold handcuffs and other accessories. The bullet-proof layer is made of Aramid fabrics to provide the maximum protection against "51" bullets (lead core) of Model 79 light submachine gun, with the protective level upgradeable and a protective area of 0.32cm². Purplish blue in color, strap type, made of "911A" special steel chips. The groin protection is made of Aramid fabrics. The "911A" steel chips provide effective protection against "51-1" bullets of Model 79 light submachine gun. The protective area is 0.25cm². Purplish blue in color, strap type, made of "911A" special steel chips developed by our institute, which provide effective protection against "51" bullets (lead core) of Model 54 pistol, with a protection area of 0.23cm². 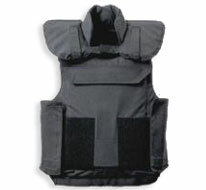 Median gray in color, strap style, with the bullet-proof layer made of Aramid fabrics, which provide effective protection against "51" bullets (lead core) of Model 79 light submachine gun, with the protective level upgradeable. Protection area: 0.28cm².